Yeah, yeah, yeah, you were told there would be no math. This is NASCAR, which is all about numbers. As a public service, we’re going to have a very quick math lesson on NASCAR Sprint Cup car numbers. Pay attention and you might be able to use this information to win a bar bet or two. No. 12 – Jim Roper, Charlotte Speedway, June 12, 1949. 18 different drivers, most of any number. Harold Kite, Tim Flock, Tiny Lund, Elliott Sadler, Glen Wood, Buddy Baker, Donnie Allison, Curtis Turner, Morgan Shepherd, Kyle Petty, Dale Jarrett and Trevor Bayne, 1 each. The No. 65 has only appeared in 93 Sprint Cup races, never winning. Richard Petty’s No. 43 is one of the most iconic car numbers in NASCAR history. 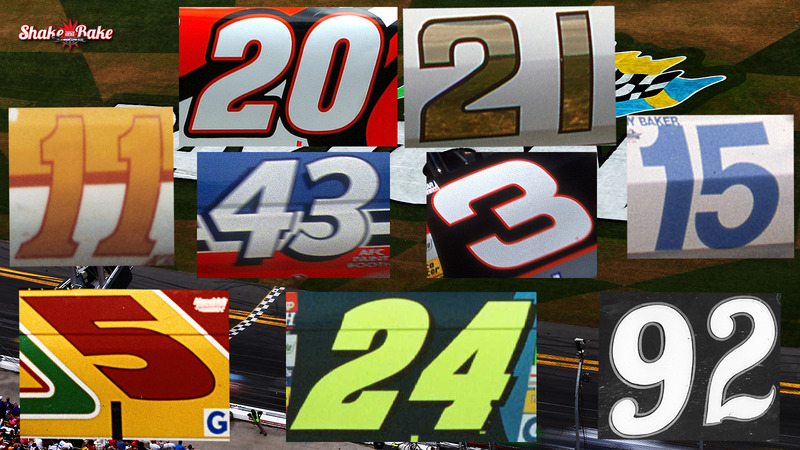 But a total of four different car numbers have been driven to victory 43 times each in the Sprint Cup Series.